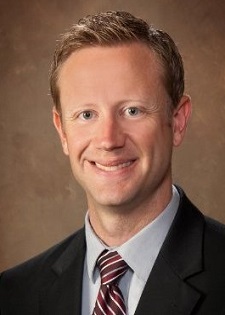 Robb Rohlfing has over 8 years of experience in public accounting. He primarily focuses on providing audit, review and compilation engagements to closely-held business and not-for-profit organizations. He has experience working with a wide variety of industries including construction contractors, homebuilders, real estate companies, and distributors. He also has worked extensively with government and not-for-profit organizations in the areas of employee benefit plan audits, A-133 audits, and other compliance engagements. He prides himself in providing personal attention to clients and focusing on their needs. Robb also is a Certified Fraud Examiner and has experience in fraud detection/prevention, investigation and internal control reviews. He graduated from Missouri State University with a Masters in Accountancy in 2006 and a Bachelor of Science in Accounting in 2005. Robb is a member of the American Institute of Certified Public Accountants and the Missouri Society of Certified Public Accountants. He also is a member of the Association of Certified Fraud Examiners. Robb also is involved in serving as a board of director of various not-for-profit organizations.